Mark R. Gilmor received his Bachelor of Science degree in 1984 from the University of Maryland. He obtained his Juris Doctor in 1989 from California Western School of Law and was admitted to the State Bar of Maryland in 1989. He was admitted to the State Bar of California in 1990. Mr. Gilmor is a member of the State Bar of California, the State Bar of Maryland, the United States District Court, Southern District of California, and the San Diego County Bar Association. 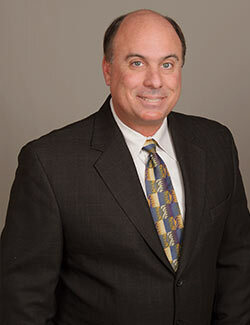 Mr. Gilmor began his legal career in San Diego in 1990. He became an associate attorney with Dofflemyre & Dietz in 1991 and in 1997 became co-founder and partner in the firm Dietz, Gilmor & Associates. In 2012 the firm became Dietz, Gilmor & Chazen, with Mr. Gilmor continuing in his partnership role. Mr. Gilmor is known for his assertive legal representation and success as a trial lawyer. He is knowledgeable in workers’ compensation defense litigation, complaints-in-intervention, serious and willful claims, and Labor Code Section §132a claims. He brings a strong leadership style to the firm and excellent legal representation to his clients.